C. RICHARD BOWERS, M.D. ; J. HAROLD CHEEK, M.D. IN THE treatment of malignant neoplasms of the small intestine, the great expectations of cure or of almost fantastic palliation routinely are found only in cases of primary argentaffine tumors. These results are obtained only through surgery, which should be as radical as the extension of the tumor demands. The excellent prognosis following such treatment of carcinoid tumors, as contrasted with the outlook in the treatment of intestinal carcinomas and sarcomas, is confirmed repeatedly in the literature. 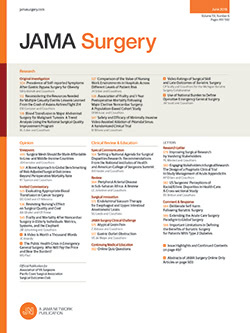 The sharp difference in life expectancy after resection of carcinoids and after resection of other malignant growths of the small bowel should never be forgotten by the surgeon, especially since carcinoids are reported to comprise one-fourth to one-fifth of the total number of malignant neoplasms of the small intestine.